We recently went on a couple’s getaway to Bermuda and with only 5 days’ time and so much we wanted to see and do, so we had to be very selective with our activities. And that included our choice of restaurants. Choosing a restaurant not only involves an investment of money but of time, and sometimes the latter is even more important because, after all, time is precious. Especially when you’re in an amazing place like Bermuda. And so we chose carefully. Never having been to Bermuda, we did a lot of research to plan our itinerary and our vacation couldn’t have turned out more perfectly. Our accommodations at the Hamilton Princess Hotel & Beach Club were exquisite, and we visited a ton of breathtaking places, including historic St. George’s (much more to come, so stay tuned!). All that was still needed to make our trip complete was a singular Bermudian dining experience. And we found it. 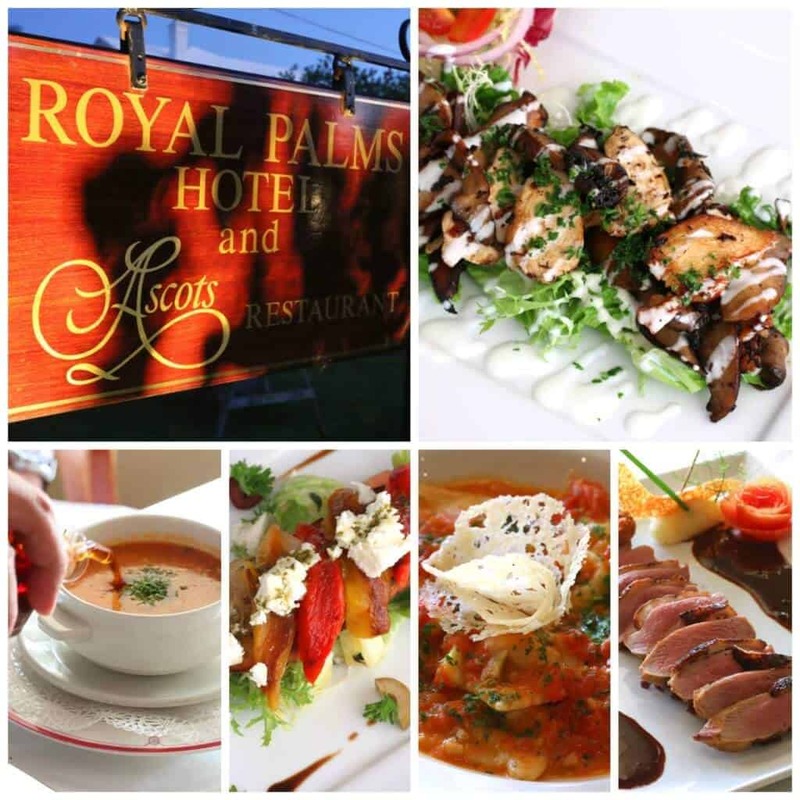 Located in the Royal Palms Hotel and just a 3-minute cab ride from downtown Hamilton and a pleasant 5-minute walk from the Hamilton Princess is Ascots, Bermuda’s #1 ranked restaurant and according to USA Today a “Place Not To Be Missed.” That was enough to pique our interest but the list of accolades continues: Ascots is also the recipient of the Department of Tourism’s most prestigious “Bermuda Longtail Merit Award”, a 6-time recipient of Bermuda Gold Awards for “Best Ambience”, “Best Wine List,” “Best Catering”, “Best Dessert”, “Most Attentive Staff,” “Best Venue for Private Parties,” and “Most Imaginative Menu.” Ascots received TripAdvisor’s “Award of Excellence” as well as Wine Spectator’s “Award of Excellence” for having one of the most outstanding wine lists in the world. And the awards list continues. There are few dining establishments that not only leave you feeling satisfied physically but also captivate you on an emotional level. In other words, they create a lasting connection. The forging of such a relationship is made possible not just through great food alone but a special ambience, a distinctive history, attentive staff who have been there forever and are so personable you feel like you’re family. In other words, the kind of place that upon entering feels like home. A place that creates lasting memories. Thus far we’ve encountered two such places: Hollywood’s Musso & Frank Grill and Bermuda’s Ascots Restaurant. Ascots also reminded us of Musso’s in that the same staff have been working together for decades. And that says a lot about an establishment when the staff hangs in there together, toughing out the storms, rejoicing in the victories, united in their love of food and service. One of the things that made our visit to Ascots so special was being able to meet its co-proprietors, Angelo Armano and Edmund Smith, and the communication I’ve had with Angelo since, learning more about their backgrounds and experiences. 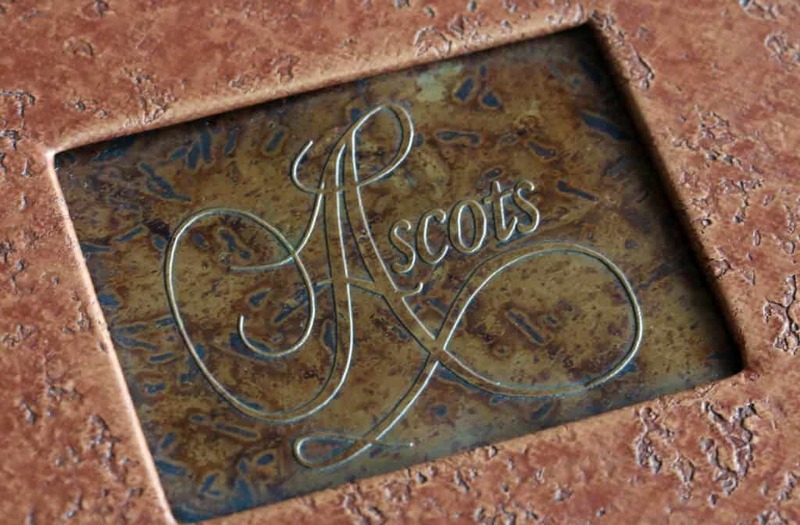 Having caught a glimpse of not only the talent and passion but also the love behind their joint endeavor, it’s no wonder to me that Ascots is the shining star of the island. Co-proprietors of Ascots, Angelo Armano and Edmund Smith. Edmund, Ascot’s executive chef, is originally from Ireland. His father owned a hotel in Dublin and so Edmund was raised in the hospitality setting from an early age. He went on to culinary school and after graduating worked in London before moving to Switzerland to further his career. He eventually found his way to Bermuda where he opened Ascots 25 years ago. Angelo, Ascot’s director of operations, is from Naples and similarly got his start in the food business at a young age. He got his first job in a bar in Naples at the age of 9 making espresso coffee. “I had to put a Coca Cola box under my feet because I couldn’t reach the machine.” He eventually worked his way up to the job of waiter and fell in love with it so he moved to Sorrento where he graduated after two years from The Service and Culinary Institute. He, too, moved to Switzerland to work and then moved to London where he worked for 10 years managing the two restaurants of the Four Seasons Hotel. Both Angelo’s and Edmund’s children are pursuing professional degrees in England and Canada and quite adamant to do their own thing. Angelo responds, “but who am I to object, after all I did the same thing to my dad.” But this duo is still crossing their fingers that maybe one day one of their offspring will take the reins of Ascots. 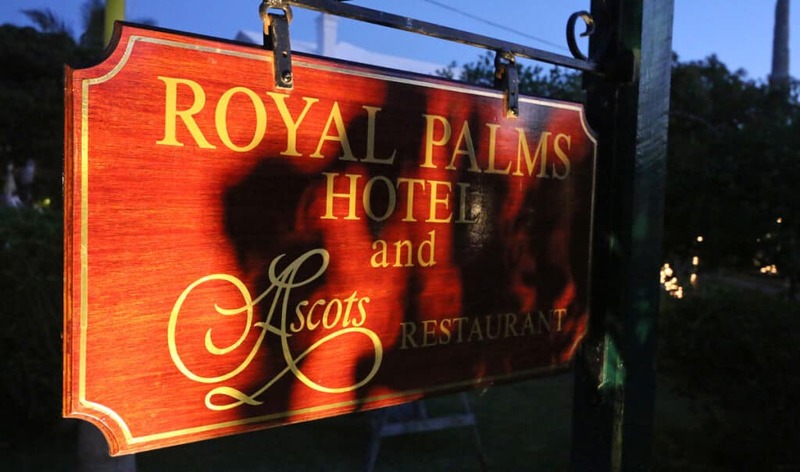 Relaxing, quiet and intimate, Ascots is the perfect escape from a busy day, the perfect way to spend an evening in good company surrounded by top-notch service and some of the best food in Bermuda. 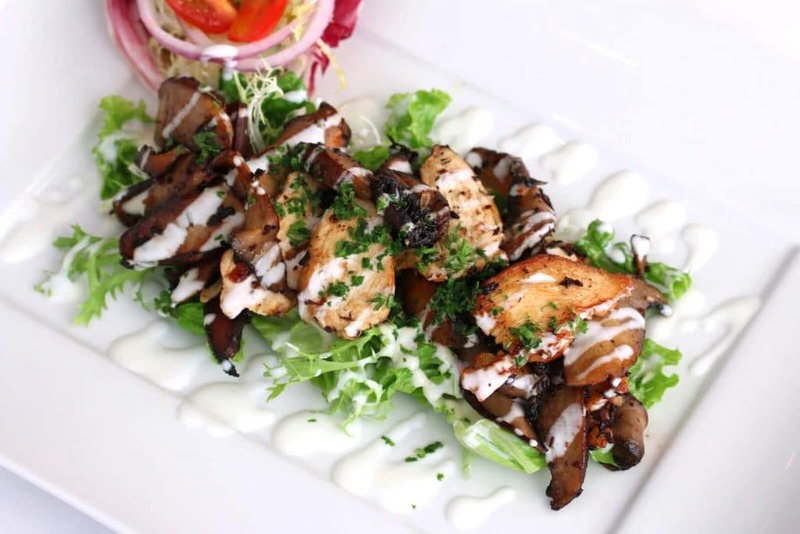 It’s the place to come for special occasions, romantic nights out, business dinners, as well as for the everyday casual lunch (see more below about their new lunch venue, Just 24). The staff is attentive but knows how to give you your space. The staff moves around quietly so as not to disturb the ambiance. Anil, the assistant manager and who has been there many years, made excellent menu recommendations and took care of our every want and need. Professional and friendly, he carried himself with a quiet dignity. We noticed that as other guests came in they were greeted by the staff with such respect, like cherished old friends. Let’s take a look around Ascots. When you enter you arrive in their cozy lounge where you can start with cocktails before moving into the dining room. Something we appreciate about the layout at Ascots is the spacing of the tables. More emphasis is given on providing room and privacy than on cramming as many patrons in as possible. I mentioned earlier that Ascots has won numerous awards for having one of the most extensive wine lists in the world and we were able to take a brief peek into their wine room. Adjoining Ascots is Just 24, their lunchtime establishment open from 12:00-2:30pm. 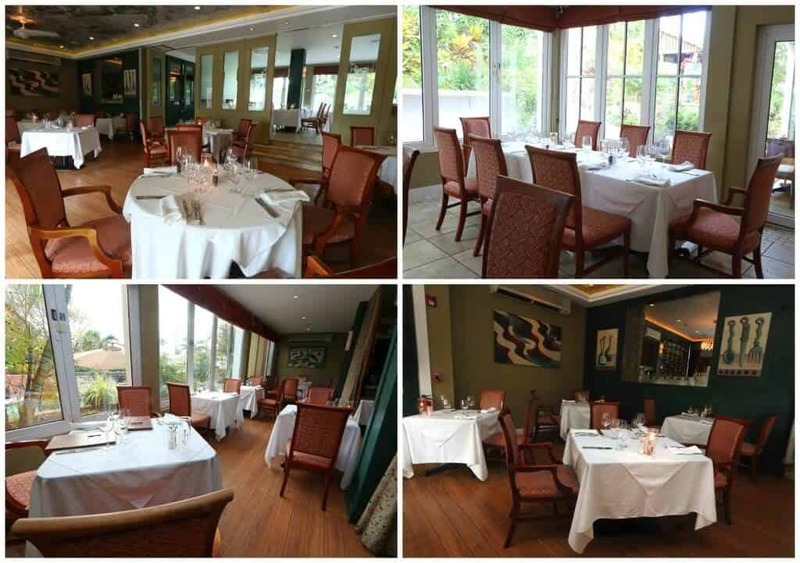 It’s a bright and cheerful, casual dining setting that opens up to the beautiful garden grounds. Ascots’ menu features the freshest ingredients, including local seafood and other seasonal ingredients, prepared in the most thoughtful, creative ways. 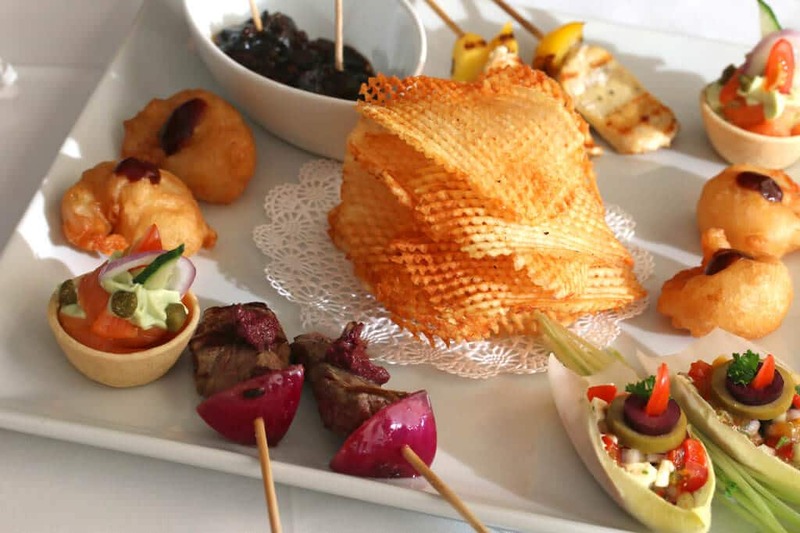 Their cuisine can best be classified as Progressive Continental Mediterranean and many of their dishes are prepared with a Bermudian twist. 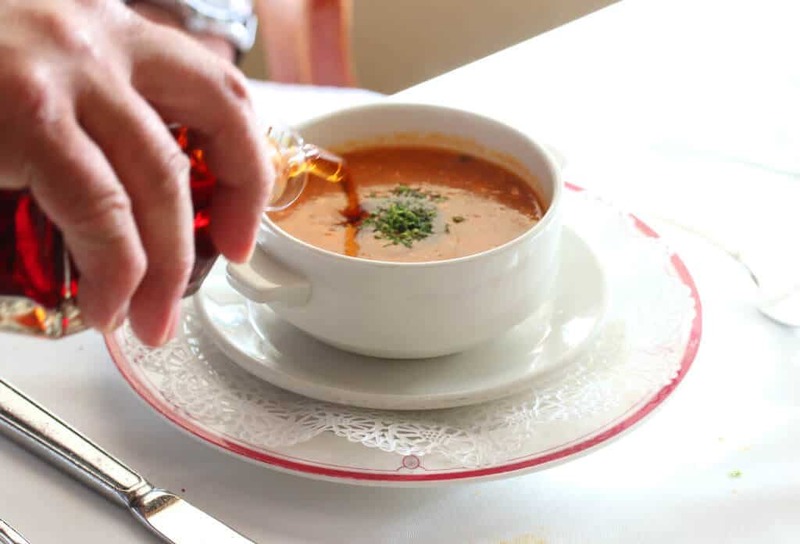 An example is one of their signature dishes, the popular Chilled Banana Soup made with sun-ripened bananas, Bermuda black rum and toasted almonds. Each dish we enjoyed at Ascots was executed with tremendous thoughtfulness. That kind of care and thought not only connotes a genuine respect for their patrons, but reflects their pride and passion for what they do. When I’m served food that reflects thought and individualized detail, I feel like I’m being given a gift from the heart and I feel honored to receive it. And in return I want to offer continued support of the business. Successful restaurants are all about building relationships. Let me show you the amazing food we enjoyed. For our appetizers Anil brought us a platter with a sampling of several wonderful bites. Everything, from texture to flavor, was wonderful and those homemade potato chips were phenomenal. I have to show you this amazing dedication to detail by zooming in on one of the appetizers. 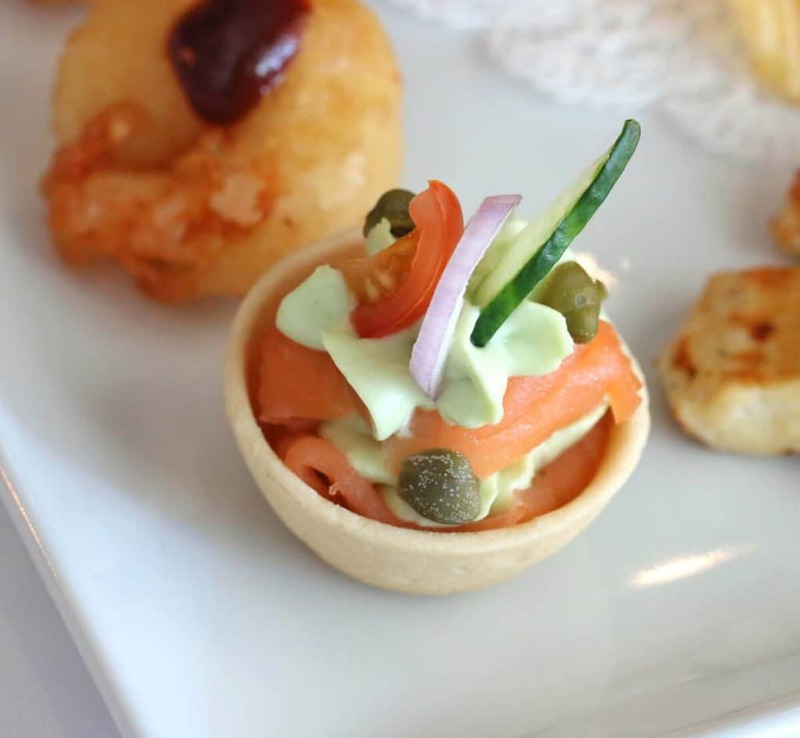 Look at the detail here on this less than 2-inch sized hors d’oeuvre. Isn’t that beautiful? Next we enjoyed some soup. 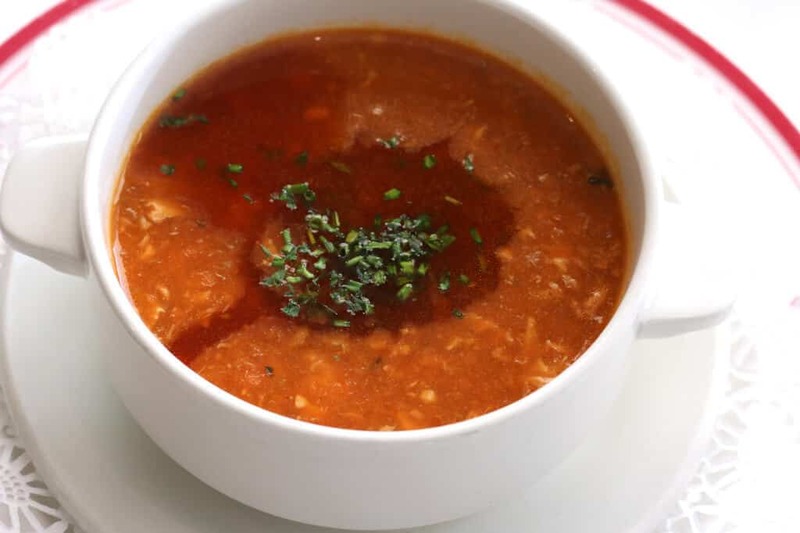 Todd had the Bermuda Fish Chowder. What makes it Bermuda-style? It’s laced with black rum and sherry peppers. I took one bite of it and yowza! Let’s just say it keeps you on your toes! I had the cream of asparagus soup and, again, was delighted at the presentation. 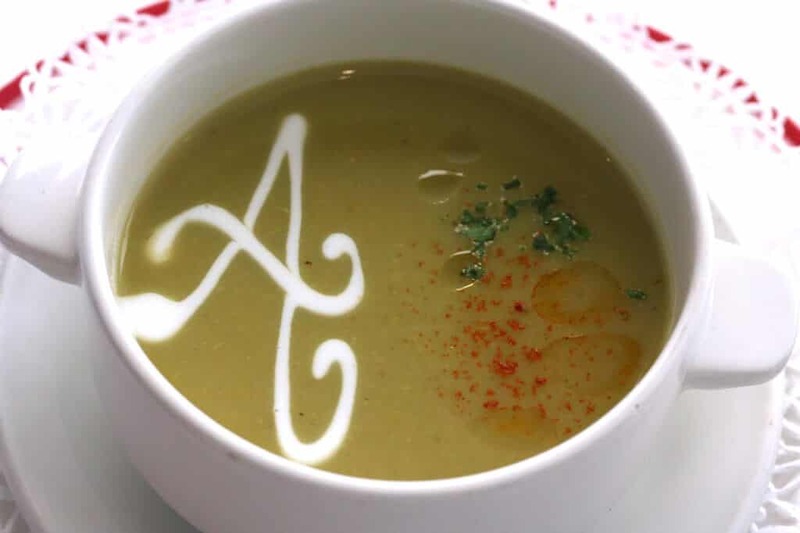 Instead of the typical swirl of cream, it was added in the form of Ascots’ “A.” And a little dash of paprika and sprinkling of fresh herbs goes a long way in the presentation of a dish. 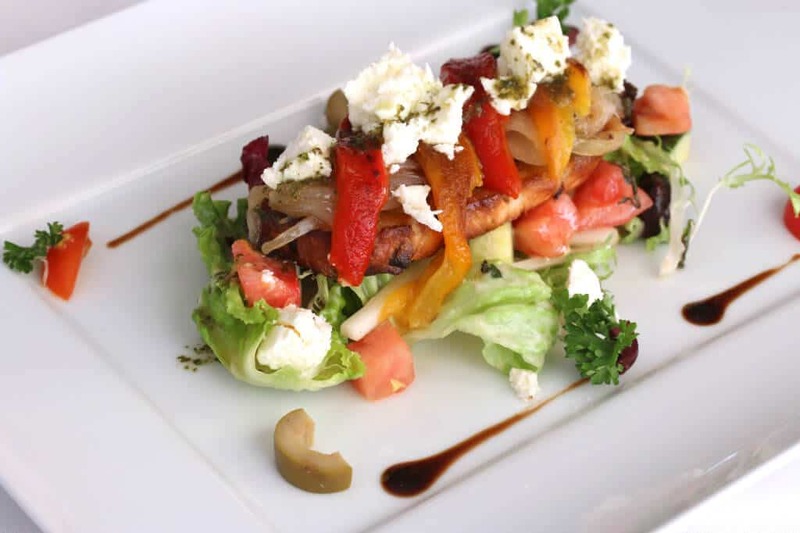 I had the Feta and Fire Roasted Pepper Salad with toasted homemade onion bread and mixed greens topped with sautéed onions, Greek olives, and roasted peppers sprinkled with feta cheese and dressed with an extra virgin olive oil and aged balsamic. It was as delicious as it was beautiful. 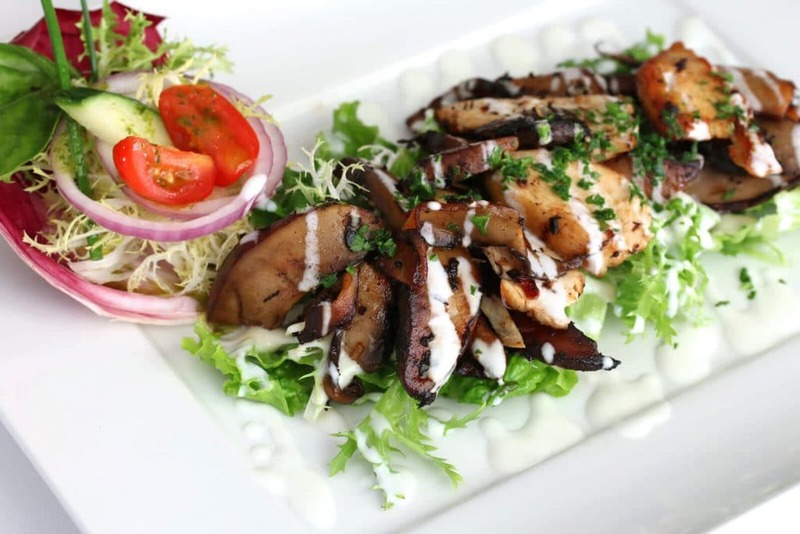 Todd had the Hot Mushroom and Chicken Salad with portobello mushrooms and grilled chicken sautéed in shallots, garlic and bacon butter on a bed of mixed lettuces. Absolutely gorgeous! And look at the beautiful garnishing at the top left! Yes, the meal was only halfway through and we were already in love. For our entrees I had Ravioli Ascots. The pasta is homemade and filled with butternut squash and arugula, sautéed with fresh sage butter, tomato concasse and green kalamata olives. The pasta was perfectly al dente with just the right amount of bite and the flavors were fresh and vibrant. And I saved that gorgeous parmesan rose for last! Todd had the Barbury Duck. 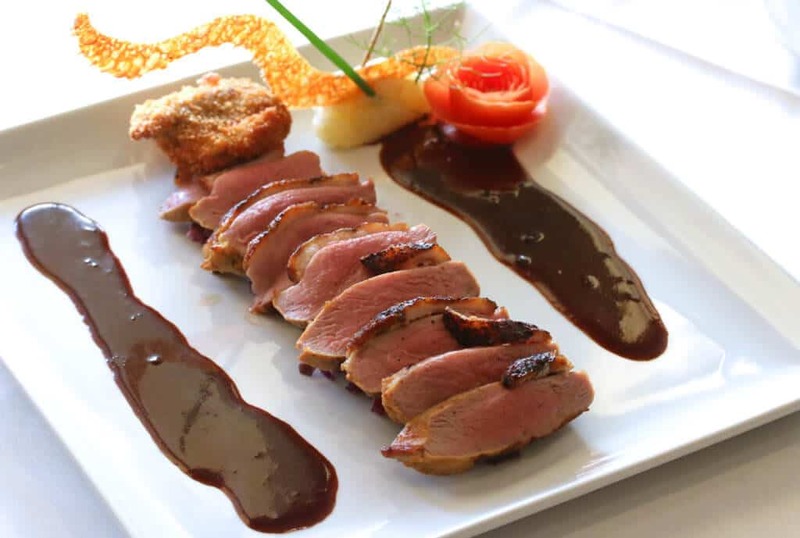 Oven-roasted duck with a panko-crusted confit duck thigh edged with a rich cherry port jus and served with a separate side of vegetables. The duck was tender, the sauce wonderful, and I admired the artistic garnishing from across the table. The dessert was one of the most jaw-dropping displays we have ever been served and the photo doesn’t begin to do it justice. We were speechless! 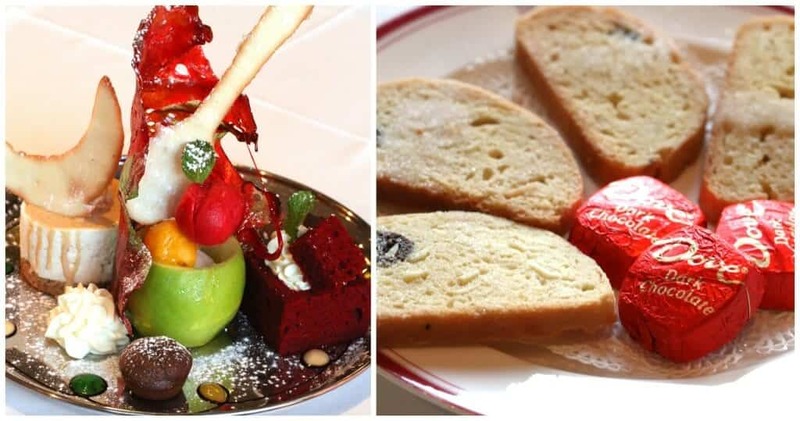 Edmund surprised us with a specially prepared dessert platter featuring a little of several signature desserts. It was like a dessert wonderland where at every turn and angle we were met with another surprise. It was absolutely phenomenal! At the very end, as is their custom, we were brought a plate of biscotti along with Ascots’ version of a fortune cookie – fortune-wrapped dark chocolates. Even better! Our trip to Bermuda was unforgettable. What an incredible place! To quote a song every local knows, “Bermuda is another world.” And indeed it is. What made our trip so special wasn’t only the places we saw and the things we did, it was the people we met and the connections we made. Ascots contributed to our wonderful experience in Bermuda not only because of the fabulous food we enjoyed, but because of our association with its proprietors, Angelo and Edmund, and their fine staff. 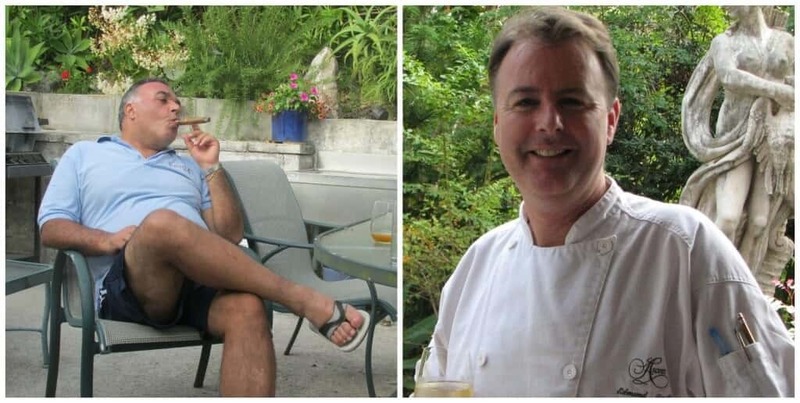 Todd and I still talk about our evening at Ascots and the next time we visit Bermuda you will most certainly find us dining there. It will feel like a reunion with a dear friend. In short, we cannot recommend Ascots highly enough. It was by far our most memorable meal in Bermuda and that’s saying a lot because we had some excellent meals. Not only is Ascots one of Bermuda’s premier dining experiences, it’s one of the best dining experiences you’ll have anywhere. Come to Bermuda. It’s one of the most incredible places you’ll ever visit. And when you do, do yourself a favor and make Ascots your choice for dining. Disclosure: A heartfelt thank you to Ascots for hosting us for an incredible evening! As always, all opinions are entirely my own. 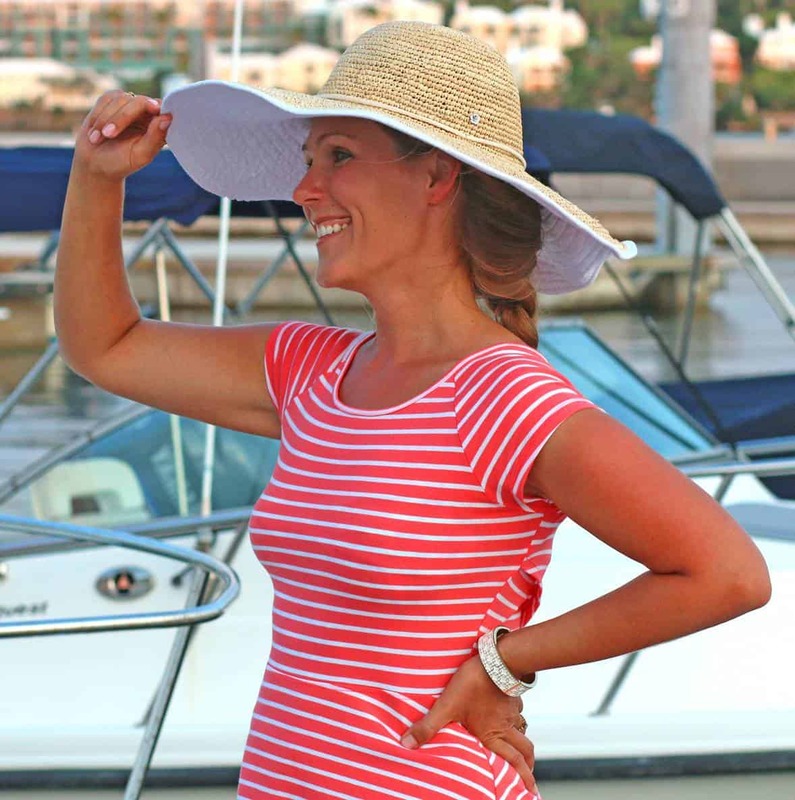 Kimberly, I’ve read each of your Bermuda posts so far (can’t wait to see more!) and I can’t tell you how excited I am to visit, hopefully next year! It’s something my husband and I discussed a number of years ago and somehow it fell by the wayside. Your articles rekindled our enthusiasm, so thank you. Ascots sounds like such an amazing, special place. Though I’ve never been, I was completely captivated by your beautiful writing and pictures. We will definitely spend an evening there when we visit. Thank you for another engaging (and gorgeous) article. Oh Cori, I’m so excited that you guys are planning a visit, you’ll absolutely fall in love with Bermuda! I wish you could cram us in your suitcase :) Have a wonderful time on the island and enjoy your visit to Ascots! This place looks simply amazing. It looks the staff is completely dedicated to ensuring that everyone has an enchanting evening and they enjoy the lovely food being served. Last year we went to Bermuda on a cruise, so we did not eat dinner on the Island. Looks like we totally missed out. The food looks phenomenal. We saw several cruise ships while we were there and felt sorry for everyone because they were missing out on so much! The only way to really experience Bermuda is to actually stay there, on land…and rent a scooter! :) Hopefully you’ll make it to Bermuda someday and experience it along with Ascots for yourself! Yum!!!!!!!!! I have never been to Bermuda and now I know exactly where I want to go. Ascots looks like a dream. And great photos by the way. The food looks amazing!!!!!!! Katie, you absolutely MUST visit Bermuda! 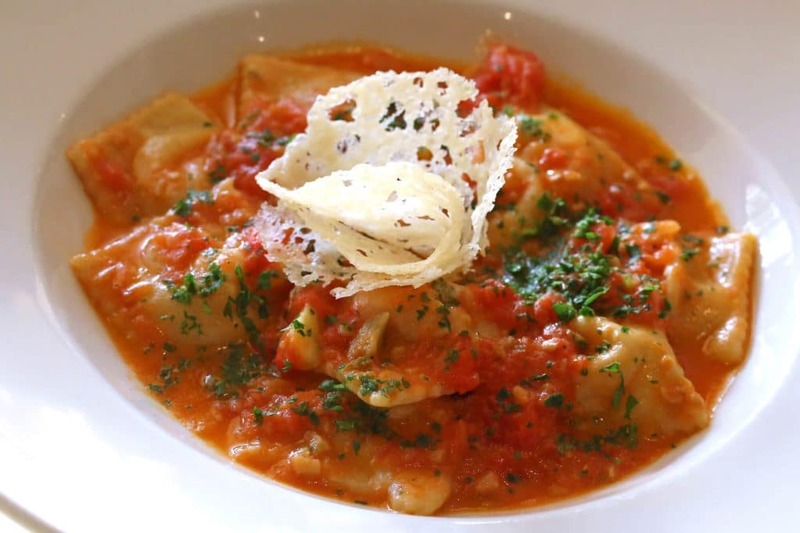 Trust me, you’ll thank me :) And you’ll double thank me once you’ve dined at Ascots! Ascot’s looks amazing! The presentation of all the dishes is just stunning. I want to dine in that wine cellar! You have me wanting to jump on a plane right now! The food (and everything) looks spectacular. What a beautiful place. The food, the ambiance, the people! Makes me want to come there right now. Ascots truly is special, everything about it. I hope you get to visit someday! 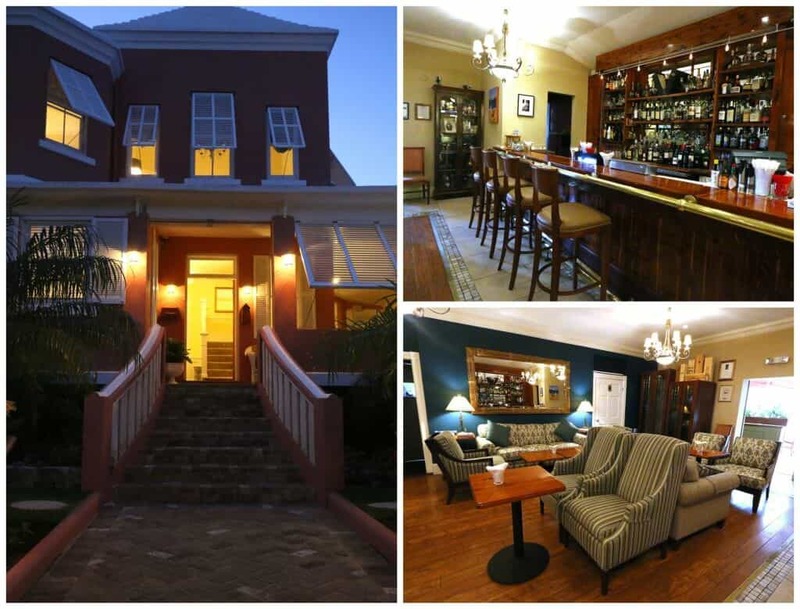 Bermuda is on my list of places to go and now this restaurant has been added as well. That wine room is worth going for alone. Michelle, first bump it waaaaay up on your list – you’ll be so happy you did – and second, take me with you!!!!! Wow – this looks incredible! I would LOVE to visit!!! You would love it, Cathy! A couple’s getaway to Bermuda!?! OMG! LUCKY!!! That looks spectacular! It was a dream, Katerina, and we want to go back sooooo badly! I am so jealous of your couples getaway! I so need that! The food looks amazing! Oh I’m so incredibly jealous!! This looks like such a fantastic experience. Glad you had a great time! Ahhh I wish I had read this before my trip in June!! Looks amazing!